Turkey is probably the only country where ‘East meets West’ in the true essence of the phrase. Whether it’s the great location of the country laid centrally between the continents of Europe, Asia and Africa, the rich history spanning 25000 years, vibrant culture with classy blend of orientalism and western modernism or splendid architecture with Romanesque, byzantine and Moorish impacts on it, Turkey boasts diversity on every step of the way. The tasty Turkish cuisine, vibrant market places, topnotch recreational facilities, along with warm hospitality of the Turks is the reason why it is one of the busiest tourist destinations for years and never loses that spark. It is said that you can’t get true hint of turkey’s diverse history and culture until you visit one of those 60 streets of Grand bazaar (Kapali Carsisi) of Istanbul. 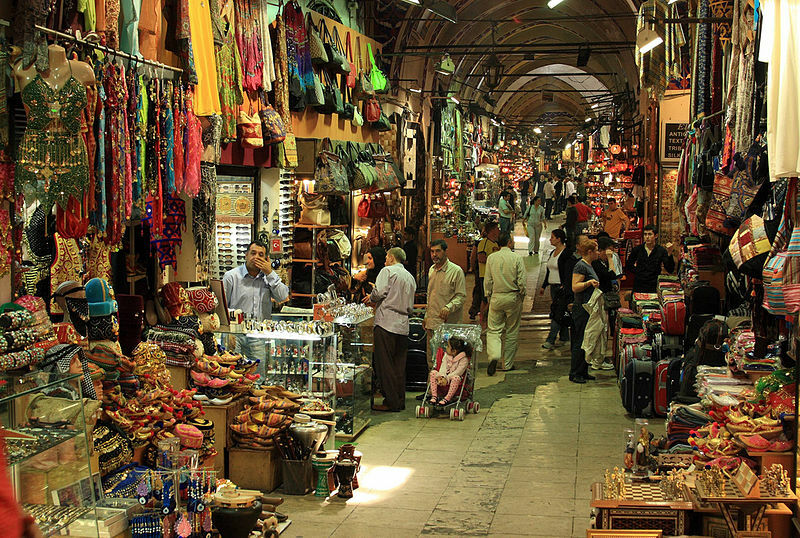 It is one of world’s oldest and Turkey’s largest market located in the heart of the city with over 4000 shops and stalls housed in baffling passageways along with mosques, banks, cafes, restaurants and workshops. 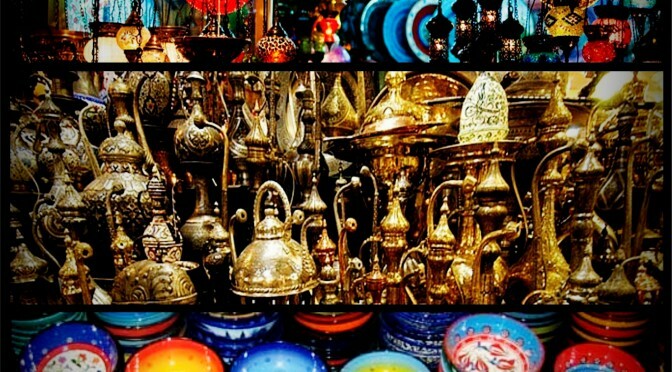 It is considered hagglers haven where you can bargain for beautiful Turkish carpets, glazed tiles, ashtrays and other pottery, copper and brass-ware, leather attire, cotton and wool stuff, souvenirs and many other articles of interest. It is also a fantastic food destination. You can always find a back alley restaurant where you can either dine for traditional cuisine or just relax at one of the cafe with Turkish tea. 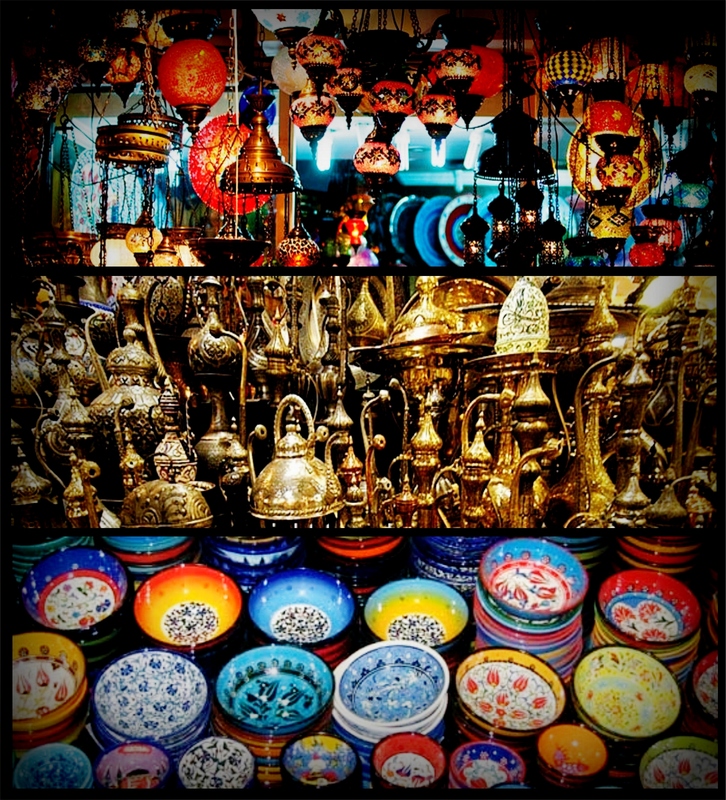 Grand Bazaar attracts an amazing figure of 250,000 to 400,000 visitors every day which tells us that it can’t be fully discovered in few hours, give it at least 2 or 3 time visit During your stay at Istanbul. Red Apple Apartments offers amazing range of apartments in Istanbul whether it’s near the prestigious Grand Bazaar or significant Blue Mosque you’ll find a nice home waiting for you in Istanbul by Red Apple Apartments. This entry was posted in Istanbul, Red Apple Cities, Uncategorized and tagged Markets on October 19, 2012 by redappleapartments.